Their stuff is SO beautiful and personal. GREAT for a meaningful gift. Lily Lane Custom Pendants was started two years ago as a way for two stay at home moms, Sarah and Anna, to both earn a little extra money (both of theirhusbands were on the long road of graduate school) as well as enable them to use up some creative juices. We love making unique, one of a kind custom pieces for our clients. Our huge objective when starting this business was to enable folks to be able to AFFORD a custom, unique item. We offer our pendants at such an incredible price and our quality is amazing. As poor student's wives we could appreciate the feeling of wanting something fun and trendy but not being ablet o justify forking over the dough. The possibilities are endless when it comes to deciding what image to put in a Lily Lane pendant. Art work (great way to display your child's art! ), photos, quotes, and song lyrics are a few examples of images we can solder and all pendants are double sided. Bridal pendants are becoming trendy as well. 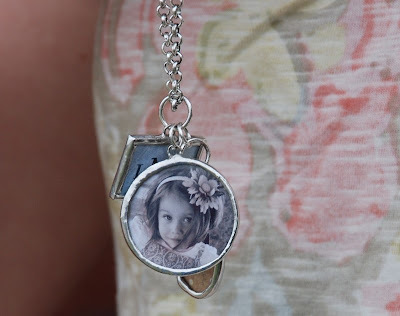 Brides hang one or more pendants on their bouquets with pictures of their grandparents, parents or even of herself and her groom. I've even done pendants for all the bridesmaids which double as the brides maid's gifts! All in all, these pendants make great gifts for any occasion and will be cherished keepsakes for years to come. Each pendant is hand crafted from 100% lead free silver solder. Pendants are NOT water proof. Seriously these are breathtaking! I love that they are custom made. So what is the giveaway???? 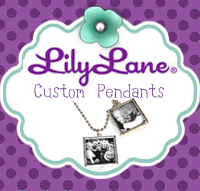 Lily Lane is giving away a $25 gift certificate towards the creation of a custom pendant. Their pendants are so reasonably priced that $25 is HUGE. telling me what kind of pendant you would have them make for you. This giveaway will be closed at 11:59 pm est on Friday July 26th. 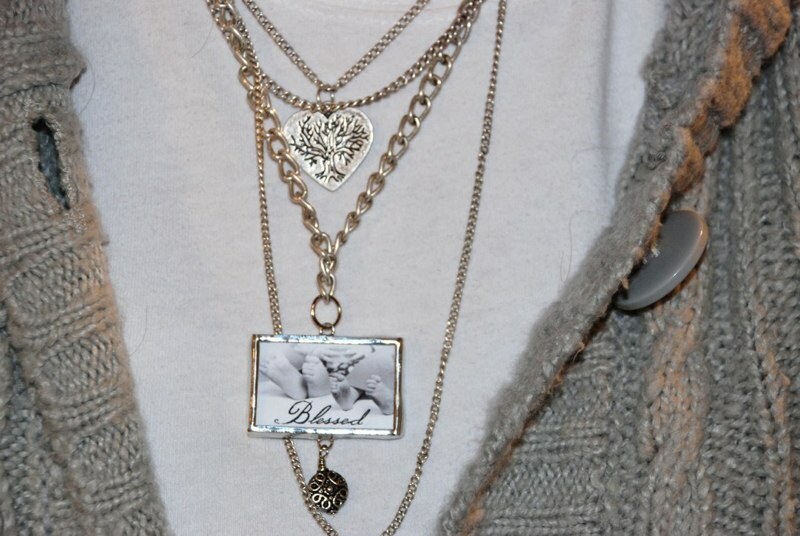 i'd like a picture or saying pendent with dangling bead. I would love a few of the square pendants, double sided with pictures of family for a baby mobile. I know they are usually used for jewelry--maybe my daughter could wear them on a bracelet once she grows out of the mobile stage. :) Love these! I'm a brand new follower--actually brand new to the whole blog thing as well. I am falling in love!! I would get a round pendant with a picture of my daughter on one side and a picture of my family on the other to wear as a necklace. I would like square pendants with my girls & Mr. D on them. I would love to have one with a picture of my nephew to give to my sister! I love the sweet baby boy one. These are too cute! I love the pendants with a pic for each member of the fam. That could get really big, but what fun to see the cute kiddos each day! i love the bracelet with turquoise and kids pictures. i'd do that. I'd get a pendant with a picture of my son, have been looking to get some mom jewelry for a while. I love the bracelet with the turquoise beads. Thanks for the opportunity. I like the circle or oval pendants and would pics of my boys in them. I love the round pendant with damask & personalied, but quite frankly all of them are beautiful. 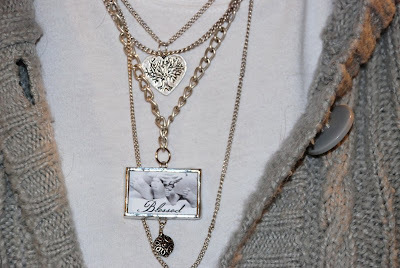 These are just precious - I am a huge fan of this type of jewelry - I just love my kids and being their mama. i like the children and family pictures. I love the Baby's 1st Christmas ornaments!! I love all of them! 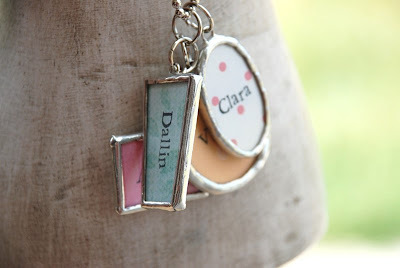 I would choose a simple pendent with initials on it. Or the cute love with with the blue bird in it.. there are too amny cute ones!! I love the pendent bracelet! Or the one with the names over checker or......... basically....... ALL OF THEM!!!! It's just way too hard to decide!! i would love to get the silhouette pendants of my sons with their names on the back! i love the look of these, im going to send the link to my friend who's getting married--i think she would love this! I just had some made, but would like new ones of my daughters when they are a little older. I would love a picture pendant of my kids and one of me and my husband. I would really love a pendant of my kids. What a beautiful way to celebrate what is most important to you! I would get an oval frame with my mum's pic and a bead or two put together! 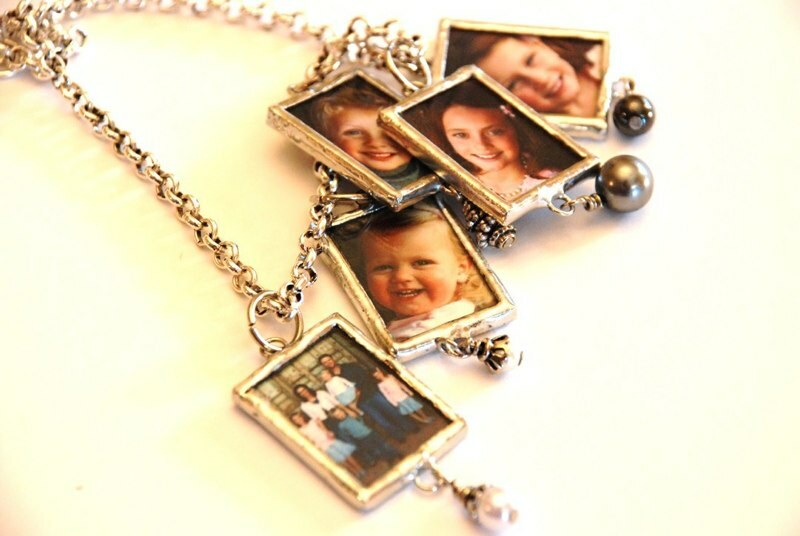 I would love one of the pendants that said something about the blessings grandchildren are. I think the bookmarkers are just such a fantastic idea. Having just had a baby girl, it would have to be a pendant of our new family!! Also, I subscribe to your RSS feed.